If you own a business, you can probably relate to how your sales can skyrocket or sink to rock bottom when running a business website. You know your business, you know your audience, and you’ve got a good startup. Now that you’re ready to cut the big bow tied on the World Wide Web gateway, you see the visitors leaving with loathed expressions. There can be a few possibilities; they can be uninterested, they might not like the vibe your website is giving off, the website speed is slow, they might be unamused with whatever they’ve seen, they might be perplexed, or they might not find the product of their interest. As these can be the reasons for visitors leaving your site, is your puzzle still missing a piece? Well, of course. Due to a few mistakes, several small businesses ward off customers via their websites. Not only do their sales come crashing down, the efforts behind the setup get affected too. OK, so you have a good product and your customer services are great, but what’s that? Did the visitor just notice your prospects buried under the heap of self-praise and all that bragging about features and benefits? Yes, that’s what drove him off. Visitors and customers reach out to your website to learn what you have to offer them and how quickly can they avail that information. Always remember, line-shooting at your website is going to get you nowhere. Always deliver the content that focuses on your audience’s needs. There must’ve been times when you would’ve noticed some businesses trying to accomplish excellence in every aspect of their enterprise. They might declare themselves the best, the cheapest, the latest, and the innovative over every other business and that’s where they miss the main point. Their brand keeps exaggerating several things at a time which confuses the audience and makes the business appearing dull and mediocre. The prospects deter websites loaded with redundancy. Think about big brands; all they do is cut the extra out, nail their focus, and build their brand around it. However, Apple’s a good place to start. Time is all that matters, and in this case, it’s the basic element. Visitors and customers these days don’t mind abandoning the web pages that load slow. Perhaps they could’ve waited if it was a salesman chasing them! It can seem really nice to notice all the fancy content and latest web design, but what’s the point when your customers have to cope-up with the slow-mo performance of your website? If such is the case, your prospects might give up on your page’s pace and leave to never return to it again. Since small businesses are anonymous and obscure constructs, they need some recognition. Even if you’re a genuine business owner who happens to run a business website online, your business can go down if you don’t have the proof of your authenticity. Testimonials from previous customers, certification from some well-known source, BBB, customer and sales stats, and other data that exhibits your business’s growth and development etc. are the fundamental elements of credibility that are required for every online business. If you don’t have any of these, then be prepared to get labeled with a ‘fake’ tag! 5. Where Is The Darn Contact Option?! Customers always look for businesses that offer convenience; they look for the ones they can respond back to and communicate with. But if your business doesn’t make that happen, it will easily dwindle to nothing. Many small business websites often lack a good and easy-to-use contact option and some don’t even have their contact numbers listed. That can drive your prospects nuts, isn’t it? However, introducing an accessible and yielding contact option is the best way to communicate with customers and visitors even if it’s just via email. This way, the privacy of the customers and visitors can be assured. As you know, every website has a purpose. If that purpose isn’t clearly communicated throughout the website, then what’s the point in even running it? The call to action is the point of focus for every business website. Sometimes, it is heaped with other content, which makes the CTA hard to find and communicate the message to the visitor. It becomes barely visible and sometimes, there are many calls to action on the same page that leave the visitors perplexed. That’s not the point of it all. Your website and CTAs should be clear in all respects and must highlight your goals and services. 7. How Could You Miss That Typo?! Your business website indicates your appearance to the world and every aspect resembles a face. Yes, you got that right. Just imagine a person with a beautiful appearance, but then you notice the crooked nose. In your case, that crooked nose is the typo errors you left in your website content, which masks the overall features. 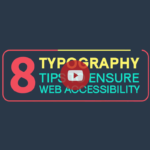 A webpage – no matter how wonderful features it beholds – will repel the visitors if it’s full of ambiguous sentences and grammatical, punctuation, syntax, and spelling errors. It shows the lack of sophistication and the company’s indifferent attitude. On the other hand, businesses hiring professional writers do well in minimizing the intelligibility mistakes. Whenever someone visits your website, they must admire your good sense of webpage display, but the primary way to learn about a website is contained in its navigation or menu. It may seem easy at the start, but creating a user-friendly and simple menu isa tough row to hoe. Some small businesses blunder by using difficult and numerous navigation options that seem to tease the visitor right at their faces. It’s like you’re running around in circles with no actual guide. 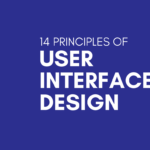 Lack of navigation features along with the failure to provide a sidebar and a hierarchical order to the menu invites more confusion on the part of the customer. You can fix these issues by noticing the actual users who come across your website. The trend for web design keeps changing and it’s your call to evolve with time. It doesn’t necessarily oblige you to try every trend but if you’re curious to test whatever you come across, you’re in hot water, my friend! Nonetheless, it’s ok to keep the standard pace with the modern tech and go with the flow. But if you lag behind in even incorporating the basic changes, your website would obviously look obsolete and out of place. An example like that can only remind you of the ancient Roman ruins but isn’t as much fun to watch. Plus, your visitors will judge you on the basis of your website’s modernity, which can mark a lasting impression. Last but not the least; mobiles are ruling the world. 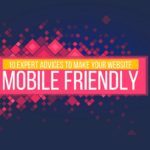 If your website hasn’t been optimized for a mobile-friendly version, then you’re beating about the bush in a dark and dead-end alley. Most of the visitors and customers are interested in accessing websites via their handheld gadgets and that is a whole lot more to consider. If your website is not optimized to be responsive, it can lose more than a half of your potential prospects and that is going to hurt in the coming time. In order to avoid that nightmare, you can employ a flexible, optimized, mobile-friendly responsive web design that enables your website to adjust according to any device it’s accessed on. Everyone makes mistakes and it’s ok to make a few unless you opt to learn from them. 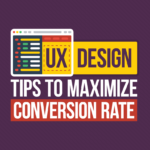 You can achieve far-reaching prospects, take the business lead, and gain some real-time competitive advantage if you minimize the mistakes you’ve committed on your website. This way, you can possibly add value to your online business and attract customers like a swarm of bees.